In the process of designing video surveillance systems– our clients are always telling us they need license plate camera recognition at their front entrance, but what they usually mean is license plate capturing. Although they’re often used together, these two concepts are distinct. License plate camera capturing is the process of recording an image of a license plate, while license plate recognition is the use of that image to identify and search for the plate in a database. License plate recognition is generally intended to associate a vehicle with a person, especially by law enforcement and private security agencies. The below discussion outlines the differences between the two applications, as well as the key factor that determine the success of each. Watch the short video below or continue reading. The speed at which a camera takes pictures is usually measured in frames per second (fps). 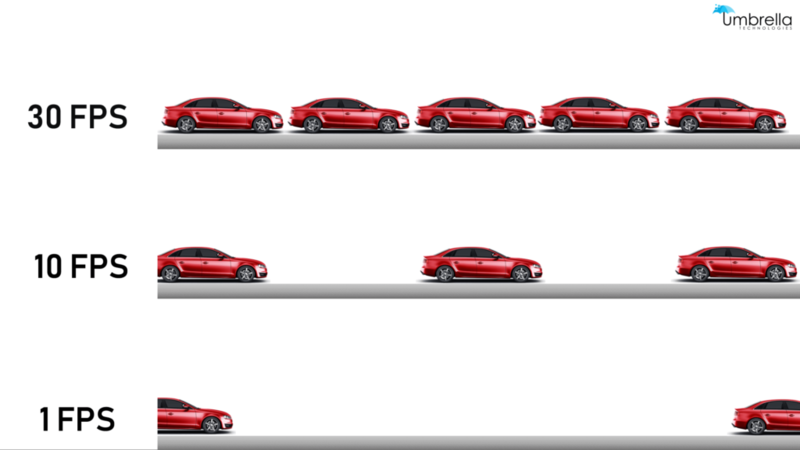 The higher the frame rate, the more likely it is that you will be able to capture a license plate from a moving car. However, frame rate is inversely proportional to resolution, meaning that increasing the camera’s frame rate reduces the image resolution. The frame rates of cameras used for capturing license plates are typically between 30 and 60 fps. A camera’s image quality is largely determined by its pixel density, or resolution, which is typically measured in pixels per foot (ppf) or pixels per meter (ppm). Software will have a specific resolution requirement, but human readers are much more subjective. A high-resolution surveillance camera used for license plate cameras typically has a pixel density of at least 60 ppf, or 110 ppm. A camera requires a longer exposure time to compensate for poor lighting, resulting in a reduction in frame rate. In particular, the lighting for license plate capturing increases the challenge of capturing license plates at night. The most common solution to the problem of surveillance camera lighting is to position the camera so it’s not facing directly into a light source, which usually means it should be between 10 and 15 feet above the ground. A housing with a high-contrast filter is another option for handling glare at night. Image stabilization is a collective term for techniques that reduce the blur caused by a camera taking a picture while it’s moving relative to the subject. These techniques primarily compensate for pan and tilt, although some cameras also compensate for rotation. Image stabilization is particularly important at long exposure times and using lenses with long focal lengths such as telephoto and zoom lenses. A longer exposure time, or shutter speed, increases motion blur, but it also reduces the camera’s light requirements. A camera at a high-speed location such as a through street will typically need a shutter speed no greater than two milliseconds (ms). On the other hand, a camera covering a location with slow-moving vehicles such as a gate or parking lot entrance may have a shutter speed as long as four ms. The license plate camera should be positioned so that its line of sight is perpendicular to the license plate’s surface under ideal circumstances. However, conditions such as glare may require the camera’s line of sight to be at a shallower, skewed, angle to the license plate. In these cases, a longer focal length and greater distance from the license plate can minimize a skewed angle. A vehicle’s speed has a direct effect on the challenge of capturing a license plate. A higher speed requires a higher frame rate to record an image with the vehicle in the right position to capture a license plate. However, a faster shutter speed requires more light. License plate recognition is known by many other names, including automatic license-plate recognition (ALPR) in the United States. It includes the processing needed to extract the license plate’s alphanumeric value, which requires a series of algorithms. ALPR software will then compare this value to the values stored in a database. Database-driven ALPR systems may be classified into stand-alone systems and systems that are integrated with third-party video management software. 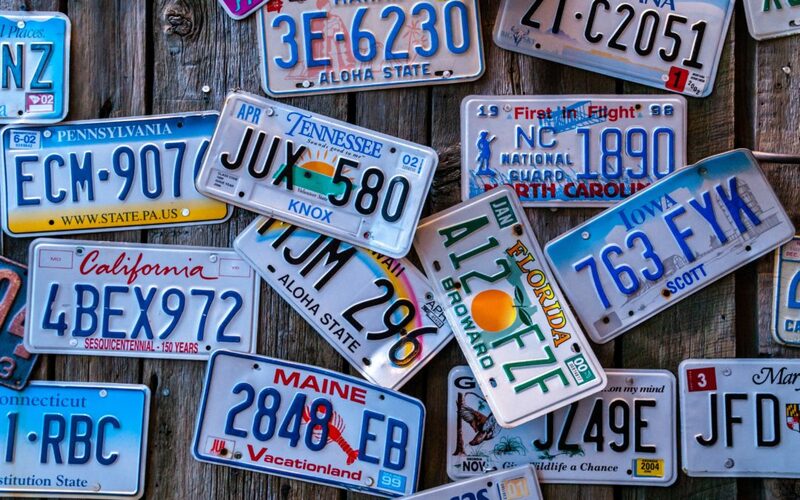 Plate localization algorithms identify the license plate in an image and isolate it from the rest of the image. Plate orientation and sizing algorithms compensate for a skewed image and adjust its size. Normalization is the process of adjusting the image’s brightness and contrast, while character segmentation algorithms identify the individual characters on the plate. Optical character recognition (OCR) is the conversion of printed text to encoded text. It was originally used for encoding documents, but OCR algorithms have been specifically designed for license plate recognition. Syntactical and geometrical analysis involves the use of country-specific rules to identify characters and their positions within the license plate number. Recognized values may also need to be averaged over multiple images to increase the confidence of identification. This type of algorithm is particularly important for license plate recognition since the images frequently contain reflected light and partial obstructions. Standalone ALPR systems perform the entire recognition process on-site in near real-time, typically within 250 ms. 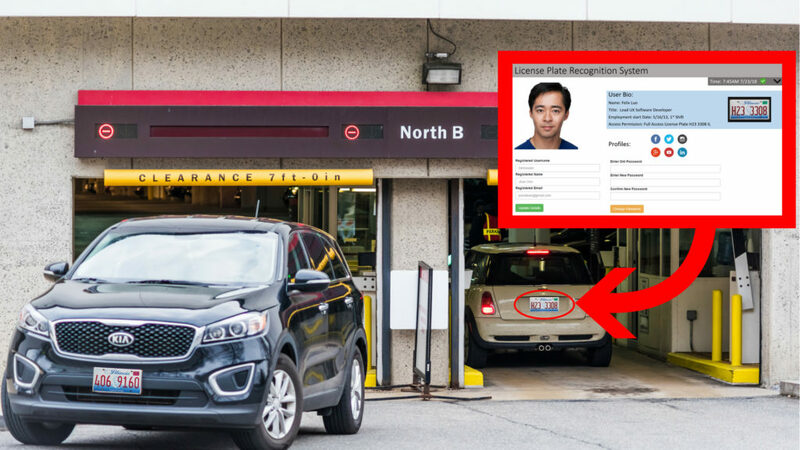 This process includes the capture of the license plate image and recording of associated information such as lane identification and date/time. A standalone ALPR system can then store this data on site or transmit it to a computer in another location for additional processing. An ALPR system can be integrated with third-party software that isn’t made by either the manufacturer of the ALPR system or its servers. These systems transmit images to a remote location as they’re recorded, allowing the software to process the images further at a later time. ALPR software usually runs on standard personal computers (PCs) and can be linked to databases and other applications. This arrangement typically uses a server farm containing many PCs, allowing the ALPR system to handle high workloads. The need to continually transmit images to a remote server also requires the transmission media to have a high bandwidth. Choosing the right camera and video surveillance installation company are crucial decisions, whether you’re looking for a license plate capture or recognition system. A security camera installer should select each camera for the specific application and environment due to the challenges of capturing and recognizing license plates from moving vehicles. A security company also needs to set the shutter speed correctly, as there is often a narrow range between a shutter speed that makes the image too dark and one that makes it too blurry. The nature of license plate capture and recognition systems means they need to work right the first time, every time. As much as clients say, “We’ve got to have license plate recognition,” we hear them say, “My previous security system integrator promised we’d capture license plates, but it only works occasionally during the day” even more often.